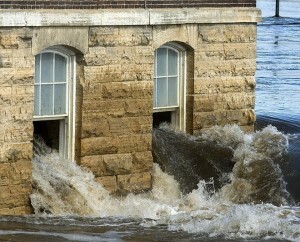 While officials make tough choices about where to direct overflowing water as the Mississippi river flood crest continues to roll south, communities downriver are preparing for the worst--while others upriver are already facing it. While officials say they don't expect for communities south of the Morganza Spillway to be forced to evacuate if the Army Corps opens the spillway, residents are being urged to plan ahead for the possibility. See You tomorrow, thank you for watching!